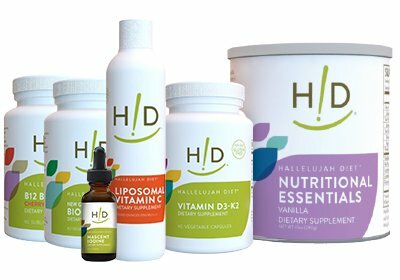 We all need DHA for optimal brain development, kids especially! With our Brain Power Smoothie Kit which includes Finest Pure Fish Oil, Nutritional Essentials, and B-Flax D, You can give you and your family that extra boost to power through the day! B-Flax-D - Vital nutrition in a fantastic fiber source. 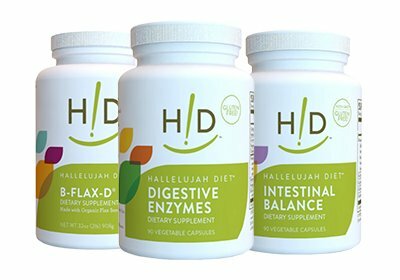 Formulated specifically for long-term use, providing an easy transition for those who have been using Hallelujah Diet® Fiber Cleanse. - Seleno-yeast is not candida yeast and should not encourage the growth of candida. Seleno-yeast is a Saccharomyces cerevisiae grown on enriched cane and beet molasses. There are 120 mg of seleno-yeast per 30 g serving. Those with true allergic reactions to yeast should consider this before using this product. - MenaQ7TM provides vitamin K2 (menaquinone), extracted and concentrated from natto without solvents. Vitamin K2 prevents arterial calcification and promotes strong bones by improving cross-linking of osteocalcin, a protein found in bones. The amount here has been clinically shown not to interfere with blood anti-coagulant medication.The statements made herein have not been evaluated by the Food and Drug Administration. This product is not intended to diagnose, treat, cure, or prevent any disease. Natural Choice Product's Nutritional Essentials is a great tasting, vanilla flavor, whole food supplement that provides a stable variety of essential nutrients. 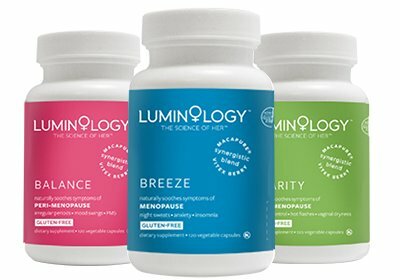 This includes highly concentrated antioxidant vitamins and prooxidant nutrients including tocotrienols, which have been found to exert powerful antioxidant capabilities, and when combined with the 22 essential and non-essential amino acids and a superior form of B Complex create a synergistic effect that can provide up to 100 times more powerful an antioxidant function than either pycnogenols or grape seed extracts alone. This product is also a great liver detoxifier, a real help in today's toxic-filled world. 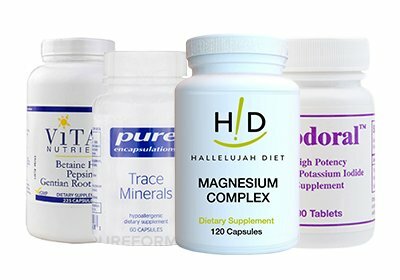 If you’ve ever purchased a Hallelujah Diet® branded product such as BarleyMax or any of our supplements, you know that we take great care to ensure that what we carry is the very best possible. We take health seriously, both yours and ours. For this reason, we are confident in offering Pharmax Finest Pure Fish Oil as our first-ever fish oil supplement. Pharmax Finest Pure Fish Oil is an ultra refined fish oil product that meets or exceeds all International Fish Oil Standards (IFOS) program approval guidelines. In fact, Pharmax insisted that this product be tested much more stringently than necessary to demonstrate its premium level of purity and safety. - This product exceeds the label claim for omega-3 content. Pharmax Finest Pure Fish Oil contains high concentrations of EPA and DHA, flavored with essential oil of orange, and has virtually no fish oil odor or taste. Check out this delicious recipe for our Brain Power Smoothie. Click Here!